As an Austin-based company, it’s probably no surprise that many of us at Transverse love the blues. The Texas blues. Chicago blues. Country blues. Hill country blues. Jump blues. Swamp blues. Even Canadian blues. We love all of the genres, except one—the dreaded “revenue blues.” Although it’s painful to hear, most finance departments are singing them on some level. Do any of these refrains sound familiar? Our pricing approach is outdated, but fair — nimble competitors are stealing our market share. The cash flow is moving at a crawl — we need faster access to working capital. Why are our forecasted contract values consistently off? Why do we have to wait actuals for a correct projection? Make it difficult to maximize up-sell and cross-sell opportunities and understand actual versus estimated contract value. It doesn’t matter whether you’re part of a large organization with diverse business units, or a midsize business with a more limited range of offerings—integrated and flexible revenue operations are a ticket to increased strategic options and greater efficiency. The ability to rapidly change pricing and billing models is increasingly important to growing revenues and remaining competitive. Even if you have similar offerings and a straightforward sales model, the ability to mix things up is a strategic advantage. As new competitors enter the marketplace, you can modify the pricing structure of your offerings to retain your customers and your competitive edge; especially if your offerings are contract or subscription-based. Consider how pricing structures have evolved in the mobile telecom marketplace. Early on, contracts were largely based on minutes-used and number of texts. Over time, different carriers have dreamed up endless ways to bill for services, including family plans and unlimited plans. The common denominator in all of these successful plans (both within telecom and outside) has been the ability of the company to successfully measure and bill for usage and manage entitlements. Ultimately, revenue growth possibilities are limited only by the imagination—and processes. The more integrated and flexible your processes are, the more you can do. For example, say you want to sell a digital content product as a bundle with a specific cap on downloads. You need a way to manage and track downloads, dates and times, thresholds, and other contract stipulations, such as expiration dates. Then, determine and manage what your automated process will be when the customer exceeds an entitlement limitation. Should they be up-sold, cut-off or switched to a limited freemium plan? This process is much more feasible and cost effective with a flexible, integrated and automated approach to revenue operations. For large organizations, an integrated revenue operations model that can accommodate the needs of diverse business units can offer several advantages. For example, it provides a way to control solution and management costs, especially when you consider how fast the costs of purchasing and maintaining multiple solutions and processes add up. A centralized approach enables faster insights into specific business areas or the business as a whole. It can also help speed the integration of new acquisitions. Overall, an integrated, flexible approach to revenue operations increases the strategic value of the finance department. Using real-time, accurate data to provide informed strategic advice to colleagues across the business will be music to everyone’s ears. At the end of the day, if you’re singing the revenue blues, it’s time to take a closer look at the integration and flexibility cure. You might be surprised at all of the possibilities it opens up. 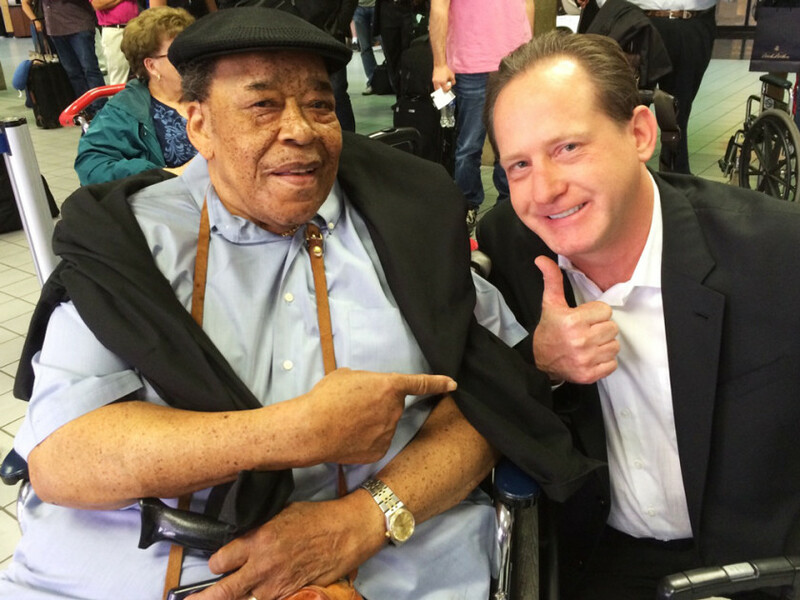 PS: Coincidentally, while writing this blog post on a flight back to Austin, I ran into world-renowned blues harp icon and Grammy award winner James Cotton on my flight. He was heading home after winning Best Contemporary Blues Artist at the American Blues Awards in Memphis. At age 15 “Cotton” started his recording career at the fabled Sun Studios in Memphis and played with everyone from fellow blues-greats Muddy Waters, BB King and Howlin’ Wolf to Janis Joplin, Led Zeppelin and The Grateful Dead.